This picture was taken last year when she was 17. Unbelievable achievement to build that body to begin with, let alone by age 17. This picture was taken last year when she was 17. Unbelievable achievement to build that body to begin with, let alone by age 17. So where does she wrestle in that wrestling singlet? 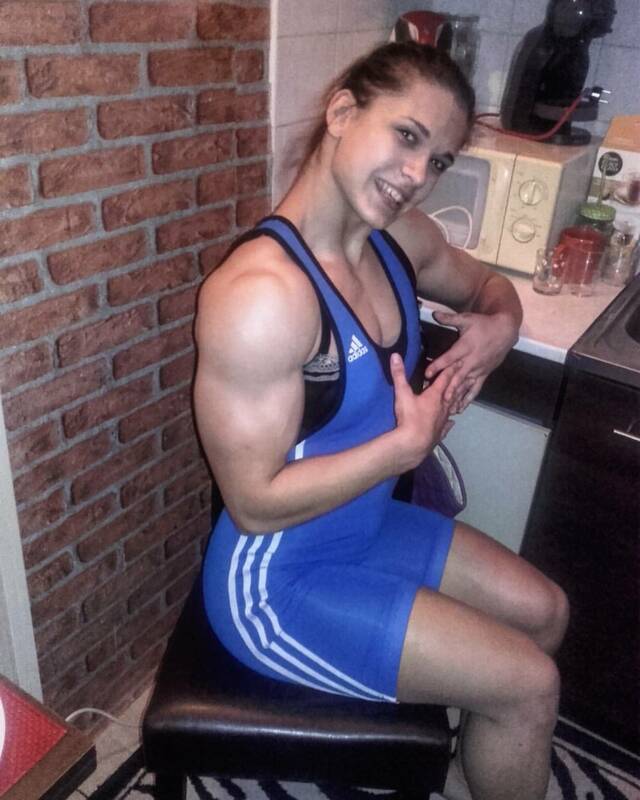 Powerlifting singlet but her wrestling matches would be real quick. Her power is off the charts!